A New Milestone for LWM! Hey guys — Tim here! 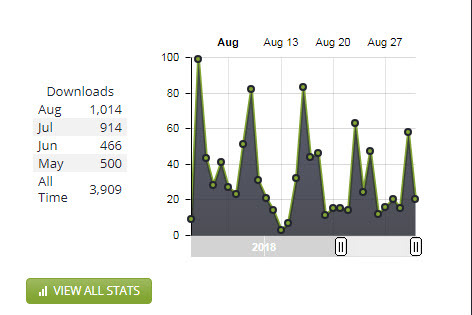 I am very happy to announce that this past month, August, was the first month that Living With Money surpassed the 1,000 download mark in a month! We’ve had a great string of guests these last handful of weeks, and I’m very proud and grateful to see the downloads increasing steadily. We plan on working even harder in the coming months to keep these monthly download numbers rising by bringing you even better content and better guests on a weekly basis. This podcast has been a learning experience for me, and I truly hope everybody listening has gotten as much out of the episodes as I am! If you have missed any of the last few episodes, here is a quick roundup of what you can catch up on! 033 – Jessica Baguchinsky – Paychex — Tom spoke with Jess about her inspirational career story, and how she managed to find her calling in life. From teaching students in Hawaii for a few years, to completely changing her career path from teaching to sales, to even finding a way to break sales goals while being displaced from her house in Hurricane Sandy, Jess’ story is great for anyone looking to succeed in sales or figure out how to find their true calling in life! 032 – Brynne Conroy – The Feminist Financial Handbook — I interviewed blogger and author Brynne Conroy about her upcoming book ‘The Feminist Financial Handbook’. Coming after 7 years of blogging on her site Femme Frugality, Brynne wrote a book that will help women succeed financially a world where the odds are oftentimes stacked against them. From ‘judgement-free’ budgeting, to working around the pay gap, to effective negotiating tactics, to planning a wedding/vacation on a budget, this episode is packed with great information! 031 – Christine Benz – Morningstar — Christine is the Director of Personal Finance for Morningstar, and we had a great discussion about all things personal finance. We talked about a few of her books she has published over the years, and what it was like releasing a personal finance book in 2009 after the financial crisis. We discussed some of the most common mistakes she sees people making with their finances and some of the most important lessons she’s learned over the last 25 years. 030 – Anthony Cinelli – The Psychology of Life & Money — Anthony is a good friend of mine from high school who is now a school counselor in the area. We talked about topics like work-life balance, self-compassion, self-awareness, and some areas the education system could improve in terms of teaching students how to better physically and mentally handle their finances. All of the topics we touched on deal with much more than just finance, but each has it’s own financial lesson to be learned as well. This episode is great for helping individuals learn a little bit more about how to live a mentally healthier life. 029 – Jonathan Clements – From Here to Financial Happiness — I spoke with Jonathan about his 9th, and upcoming, book ‘From Here to Financial Happiness’, and how it’s a tangible ‘here do this’ type of finance book that urges readers to take action each day to better their financial situation. We also discussed Jonathan’s long career writing for Forbes and The Wall Street Journal before starting his own financial blog Humble Dollar. With so much excellent material to cover in a short amount of time, this episode is oozing with great tidbits to pick up. There are 28 MORE fantastic episodes to check out as well, and be sure to continue to check back each Thursday for more new episodes! Thank you again for listening! This entry was posted in LWM Blog by Mullooly. Bookmark the permalink.